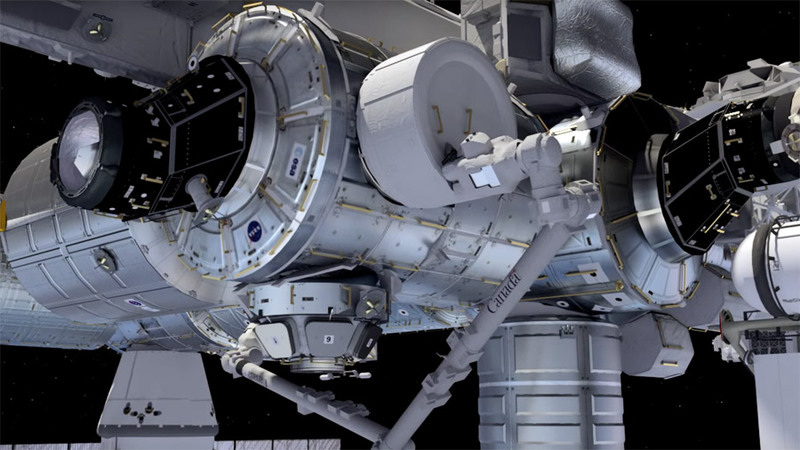 NASA astronaut Jeff Williams again is leading operations to expand the module while they are in position to work in the sunlight and with downlink television capability for flight controllers to monitor the expansion. I listened in on the media briefing this afternoon, May 27 — and I may have missed it — but did anyone on the call (or at NASA) ask about the possibility that condensation (water/moisture) may have settled in the folds of the inflatable fabric, shortly pre-launch (i.e., while still sitting on the warmth of the pad)? I was thinking of all the ice we used to see falling off the original Atlas rockets, at Cape Kennedy, in the 1960s — and off the shuttles’ solid booster tanks, in the 1990s…. COuld similar physics be at work? If so, of course, the BEAM unit reaches space and… the outer (or inner fabric) skin promptly freezes solid — in between the folds. Thus no-open. no inflate…? Yup, freezes up like the sticky paper wrapper, on a Popsicle in July — before it comes out of the freezer? Is this a possibility — even if all the bolts and straps have been cut loose? I am sure someone looked into this, right? If tomorrow’s attempt doesn’t work — what about methods to increase the temperature of the layered fabric a bit — say by pivoting it into the sunlight — for a bit? even 30 minutes of direct sunlight on the whole body of it ought to be plenty, right? Just my $0.02. . .
Of course they don’t say any of this on the com in the recording, leaving everyone to wonder because that’s the way NASA is. (then there is a serious time edit on the recording) then three seconds into the deployment sequence a red “fault” light went on and the panel said “STOP fail-safe” on the screen and the execute light never came on, and all the sequencing/arm/ready lights went off. Then at minute :59 in the video (see link below) in control room you can see the operations manager give a dark look to the CAPCOM officer. Then on board you can see Jeff Williams break out an Volt/Ohms multi-meter to test the circuit to see what is malfunctioning. Then it appears they tried forcing the straps off by applying internal pressure. This is all conjecture but something didn’t fire when they tried to initiate the NSI Pyro’s that much looks obvious. The straps didn’t initiate release. So I believe it was a failure on the pyro release of the straps and they aren’t telling anyone this on the news yet. But for them to say they are turning the whole space station around to see better is a little silly considering you can see everything perfectly in the video.